Whitney Houston's family is furious about her new Lifetime biopic. 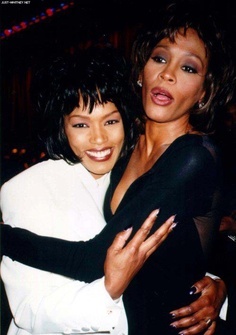 The late superstar's loved ones are “p**sed” that the Angela Bassett-directed film depicting Whitney's rocky relationship with her ex-husband Bobby Brown is being planned as a TV movie because they feel she deserves so much more. The singer's loved ones are instead planning their own big screen movie in the style of Michael Jackson's This Is It, which they feel would be a more fitting tribute to the musical icon, who accidentally drowned in February 2012 in her Beverly Hilton hotel suite. In what can only be described as the epitome of a teaser trailer, BBC has released the first for Doctor Who's eighth season - blink and you literally miss it (although you're not blinking anyway because of all the Weeping Angels abound, right?). Although fans barely see anything in the “trailer,” we are at least promised an air date sometime this August! 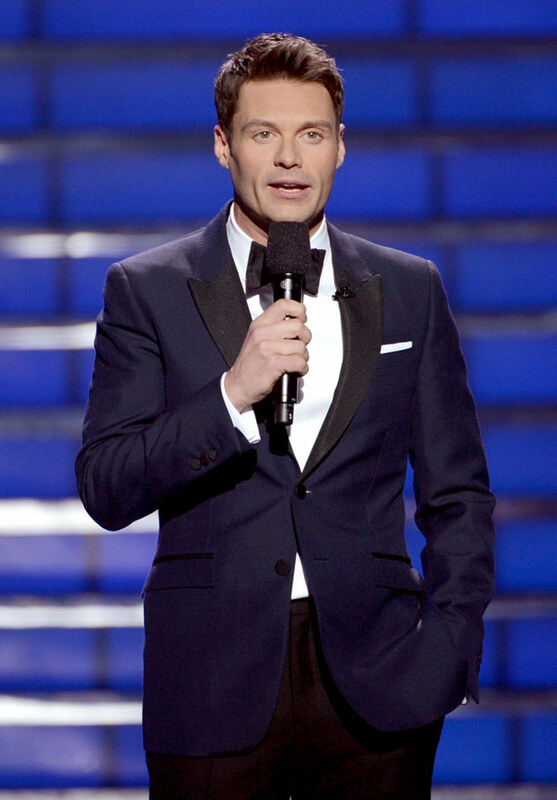 Ryan Seacrest performed on American Idol last night. The 39-year-old star - who has fronted the talent show since it began in 2002 - took to the stage on the show's finale for a surprise musical performance, which was introduced by program mentor Randy Jackson. Wearing a tuxedo, Ryan sang Richard Marx's classic ballad “Right Here Waiting” - which quickly turned into a duet when the curtains rose to reveal the crooner and the two performed together at the piano. Meryl Davis and dancer Maksim Chmerkovskiy were crowned the winners of Dancing With the Stars last night. The figure skater and her professional partner, who scored 30 points for their fusion of the Argentine tango/Cha cha, giving them a perfect 90 when combined with their scores from Monday's show. “Thank you all for the incredible support…. I'm completely overwhelmed. @MaksimC and I have been so fortunate to share this journey w/ you! [sic],” Maryl wrote on Twitter. 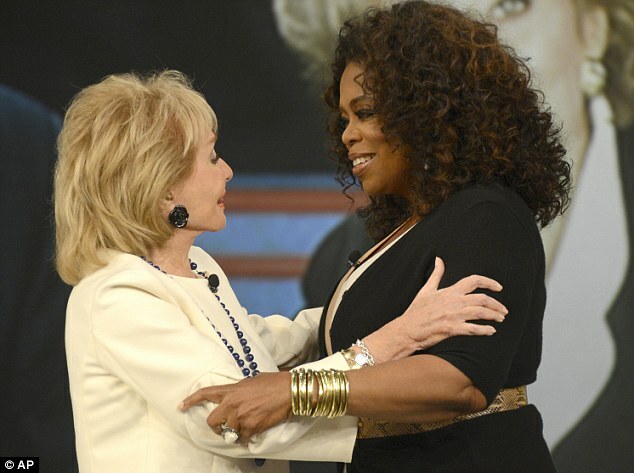 Oprah Winfrey and Hillary Clinton surprised Barbara Walters on her final episode of The View. The veteran American broadcaster will retire today at the age of 84 and she was joined by a host of A-list stars, including Michael Douglas, who helped bid farewell to the star at the taping of her last episode yesterday. Barbara struggled to hold back the tears as Oprah, 55, brought out 25 female news anchors - including Katie Couric and Diane Sawyer - who have all been inspired by her six-decade career. 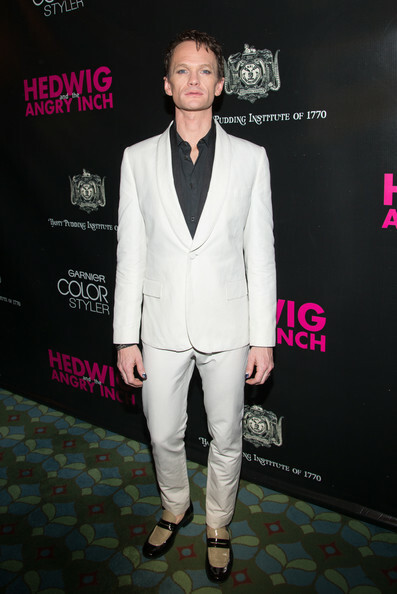 Neil Patrick Harris was asked to present The Late Show. The How I Met Your Mother actor - who raises twins Harper and Gideon, three, with partner David Burtka - was asked to replace David Letterman on the nightly talk show and even got as far as meeting with CBS executives to discuss the opportunity. “They called me in and sat me down and asked if that would be something that I would be interested in doing,” he said. However, despite the lucrative offer, the 40-year-old actor turned down the job as he worried about getting “bored” and wanted more flexible working. “In that instance I felt like I knew what my skill sets were. I was surprised that he pitched me that idea, and I sort of sat for a minute with it and told him the things that concerned me about the longevity of that kind of gig. 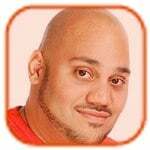 I would get bored of the repetition fast, and the structure is so set that I don't have any interest in doing monologue, commercial, sketch, guest, guest, musical act, good night,” he said on The Howard Stern Show. 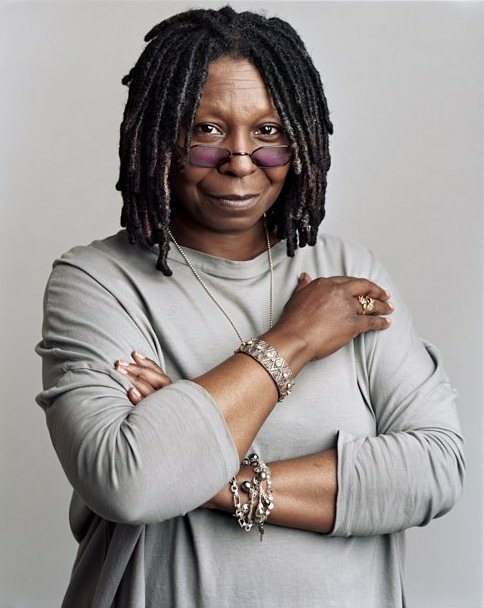 Whoopi Goldberg is to make a reality show about her family. The 58-year-old actress will produce the series through her One Ho Productions along with 44 Blue Productions, and will focus the program on her daughter Alex Martin, 40, who has three children in their teens and 20s, and her best friend Leisa. According to Deadline, the show will follow Alex as she tries to reinvent herself both personally and professionally with the help of her husband Bernard and Leisa, whose father is actor Lee Weaver. “I wanted to tell the story of two best friends who experience all of the major phases of a woman's life together. Alex and Leisa have been friends since they were 17 and are both children of famous people, and are now approaching 40. My daughter just became a grandmother and her daughter just turned 24 and they are just trying to figure their lives out. This is really the story of an all-American family for a new generation; it looks a little different than the storybooks, but it's filled with love and laughter,” she said. 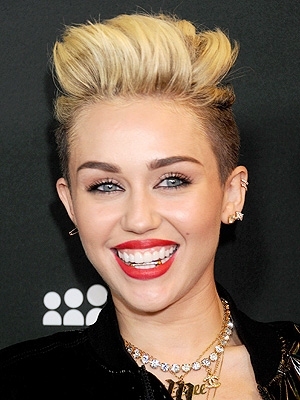 Miley Cyrus has refused to perform on The Voice because of Christina Aguilera. The “Wrecking Ball” hitmaker reportedly has an intense dislike of the show's coach - who, like Miley, shot to fame as a young Disney star - and even though the “Fighter” singer is currently on a two-season break from the competition, she won't sing on the show. “Miley is no friend or supporter of Christina, despite the fact they have a lot in common, including long associations with Disney and using some of same people through the years on their respective business teams. Even if Christina has temporarily stepped aside, The Voice is still Christina's show and Miley doesn't want to lift a finger to help that woman,” a source said. Show bosses are said to be upset as they are desperate for the former Hannah Montana star to sing on the season finale. “Last month Voice bosses made Miley another offer to have her perform on the finale show and Miley said no - and was very clear about her reasons!” the source said. Naya Rivera Fired from ‘Glee’? Naya Rivera has reportedly been fired from Glee. The 27-year-old actress has reportedly been given the boot from the show after a blazing row with FOX's producers over her co-star Lea Michele's “diva antics” earlier this month, according to the New York Daily News newspaper. Not only has the brunette beauty been axed from the musical show, it is also believed she's been “written out” of program's fifth season finale, PopWrapped reports. Naya's future on the show was questioned when she reportedly stormed off set on April 15 after the “Cannonball” singer, whose boyfriend and on-screen love interest Cory Monteith tragically passed away last year, reportedly made the rest of the cast wait to shoot a scene as she dealt with personal matters. However, it is believed the stars have been “icy” towards each other for a while. “Naya is jealous that Lea is the show's main star. There is a lot of sighing and eye-rolling between them. They talk behind each other's backs a lot,” an insider said. Click to continue reading Naya Rivera Fired from ‘Glee’? Seth Meyers is to host the Primetime Emmy Awards 2014. The Late Night With Seth Meyers' host is set to front the 66th annual event for the first time on August 25, held at the Nokia Theater in Los Angeles, which will air on NBC. “Seth is such a talented performer and writer, and we know he will bring something unique to hosting the Primetime Emmy Awards,” said Bruce Rosenblum, head of the Television Academy. The glamorous ceremony, which honors the best in primetime television programming, will be held one month earlier than usual, and on a Monday instead of the usual Sunday, because of NBC's contractual commitment to televise Sunday Night Football.